Do you like Star Wars? Of course you do, who doesn't (opening a whole can on worms on that one). Then do you like free stuff? Again, easy answer on that one. 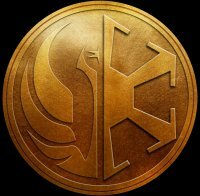 In that case then you should be happy to hear that BioWare and EA have released the Free-to-Play version of Star Wars: The Old Republic today! So if you never played it when it came out last year, or want to visit some old friends now is your time. Long time meat bag fans of the BioWare Star Wars games will also be glad that, as of today, you will be able to get the deadly HK-51 Assassin Droid. This is in addtion to a new area, the prison world of Belsavis along with a the new Operation: Explosive Conflict on Denova (complete with nightmare mode). So prime that blaster and polish your lightsaber crystals (you think OCD Jedi/Sith do that?) and enjoy the game.